Wacky Tracks by Toysmith are an amazing fidget toy with endless fun! Great for those who need a fidget toy to help cope with outside stresses. 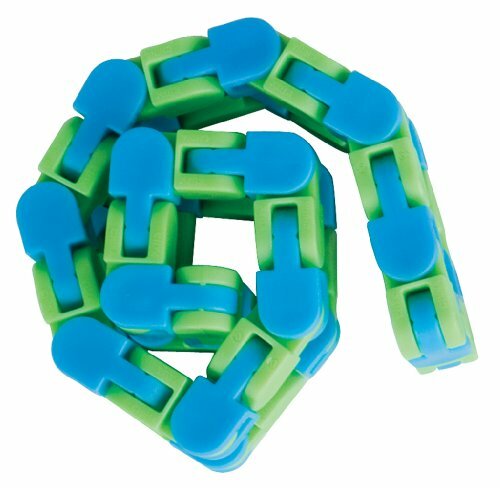 Made of 48 plastic links that move in all sorts of ways and are able to lock into place, your child will have a great time discovering all that Wacky Tracks can do! This listing is for one (1) Wacky Tracks. If you have a color preference green/pink, green/blue, blue/pink) please select the color during checkout. We will do our best to meet your color choices but cannot guarantee any color requests due to stock levels.